When you think of saving money on your home, what are some of the best ideas that come to mind? Chances are, you think of a home that’s energy-efficient but durable at the same time. But this doesn’t just apply to one part of your home. If you want to save a substantial amount of money on repairs or costly energy bills, you need a home that operates efficiently in all areas like a working heating and cooling system, proper insulation, energy-efficient lights, energy-efficient appliances and more. 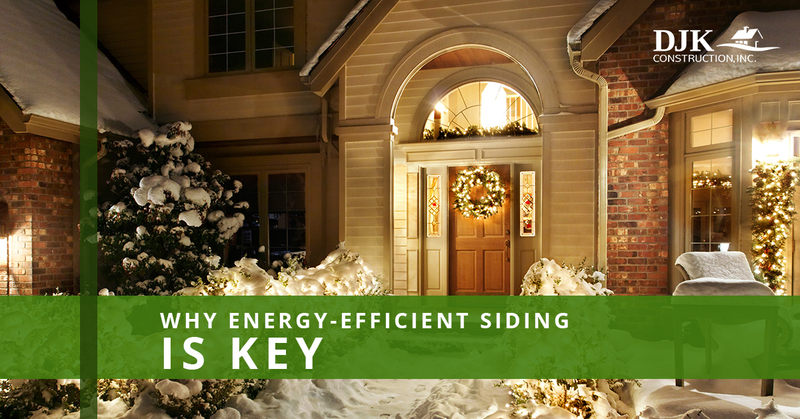 One thing you may not think of too often is the energy efficiency of your home’s siding. During peak winter and summer times, the weather is at its most extreme, so your home will be using the most energy to maintain a stable temperature and condition. If your home is not prepared for these times, you may experience uncomfortable living conditions and energy bills that go through the roof. In this blog, we’re going to talk about energy-efficient siding and how it has an impact on your home’s overall efficiency. The first thing you should note when considering energy-efficient siding is the R-Value. So what is an R-Value? An R-Value is a measurement used to rank the energy efficiency of your home’s materials and appliances. If a material or appliance has a higher R-Value, it means that it is more energy-efficient than other components on the market. So when it comes to your home’s siding, the R-Value of the material you use to build it is important. Energy-efficient materials are considered anything between three and five on the scale, so anything below that you should try to avoid. The siding on your home is the first defense against harsh weather conditions and temperatures. Although there are other aspects to keeping your home at a stable temperature and preventing damage to the exterior, your siding is one of the most important pieces in this puzzle. And if you want more efficient siding for your home, the best place to start is with the materials you use. Some common siding materials are wood, vinyl, and aluminum, however, you should pay attention to exactly what is being done with these materials. Alone, these materials won’t help you much as far as energy efficiency goes. Typically what makes the difference is the insulation. Materials like insulated vinyl, steel and aluminum will have a higher R-Value helping you reduce energy bill costs and keep your home more comfortable. 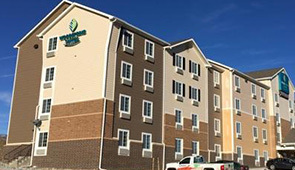 One of the great things about insulated vinyl is that it’s durable and doesn’t require much maintenance. This way, you won’t have to spend extra money having it repaired or extra time having to perform regular maintenance. However, vinyl can’t be stained or painted after it is installed meaning if you want to change its appearance, you will have to tear it down and start over. Vinyl siding is made of PVC, or polyvinyl chloride resins which means that less maintenance is required than for other types of siding for your home. Another benefit to vinyl siding is that it won’t rot like wood does; it’s resistant to termites and other bugs. Maintaining your insulated vinyl siding is as simple as spraying it down with a hose in order to prevent the buildup of dirt and other debris that could damage it. In addition to being more energy-efficient for your home, insulated vinyl has several other benefits over regular vinyl siding. 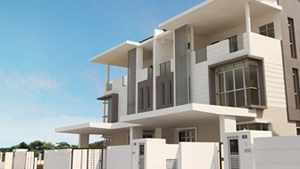 In general, it’s more durable due to panels that are able to keep their shape when the weather gets extreme. If it gets really cold, the vinyl will contract whereas if it gets hotter, they will expand. Insulated vinyl siding is resistant to this change by preventing moisture buildup and cracking. It’s also more resistant to mold and mildew issues that can lead to further damage to your siding and home. Overall, insulated vinyl is a better choice for both durability of your siding and the energy efficiency of your home. The insulation acts as an extra barrier between the interior of the home and the harsh weather conditions, whether they’re extremely cold or extremely cold. In the long run, this will save you on both energy costs for heating or cooling your home and repair and maintenance costs for the exterior siding of your home. Another great benefit to vinyl siding is that it’s “green.” Vinyl siding is able to reduce energy usage in your home by maintaining a more stable indoor temperature. However, vinyl siding is also more green on a larger scale due to the recycling process. Used vinyl material can be broken down into a material that can be immediately remade into materials used for new siding. Additionally, due to technical advancements, vinyl has become a more viable option for those who want an aesthetic siding material. Modern vinyl siding can be made to represent wood of just about any color you can think of. 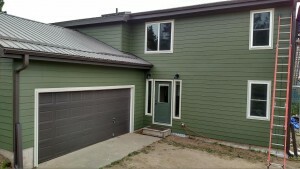 When you need fiber cement, vinyl, wood, or aluminum siding in the Denver metro area, Colorado Springs, or the Mountain Region, contact your Top Rated Local® Siding Contractors at DJK Construction, Inc. If you’re interested in scheduling a consultation with a member of our team fill out our contact form and a member of our team will be able to provide you with more information. Or you can give us a call and speak directly with a member of our team.